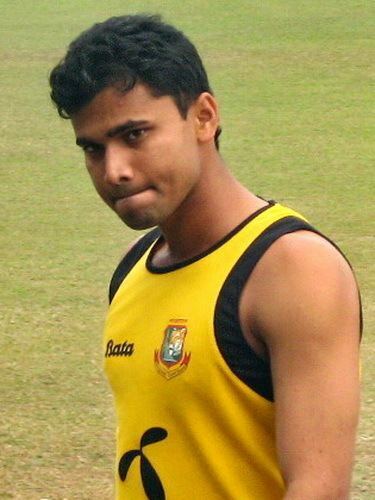 Mashrafe Bin Mortaza (Bengali: ??????? ??? ???????) (born 5 October 1983 in Narail District, Jessore) is a Bangladeshi cricketer and current captain of the One Day Bangladesh national cricket team. He broke into the national side in late 2001 against Zimbabwe and represented Bangladesh before having played a single first-class match. Mortaza captained his country in one Test and seven One Day Internationals (ODIs) between 2009 and 2010, however injury meant he was in and out of the side and Shakib Al Hasan was appointed captain in Mortazas absence. Mortaza is considered one of the fastest bowlers produced by Bangladesh, usually bowling in the mid-80s mph (130s km/h), and regularly opens the bowling. He is a useful lower-middle order batsman, with a first-class century and three Test half centuries to his name. Mortazas career has been hampered by injuries and he has undergone a total of ten operations on his knees and ankles. He was bought by Kolkata Knight Riders for the 2009 Indian Premier League; although KKR paid US$600,000 for Mortaza, he played just one match for them, in which he went for 58 runs in 4 overs. Due to his international commitments, Mortaza has infrequently played for Khulna Division in Bangladeshs domestic cricket competitions. While he has represented Bangladesh 36 times in Tests and in 124 ODIs between 2001 and 2012 he has played only 11 first-class and 9 list A matches for Khulna Division in the same period. In 2012 he joined the Dhaka Gladiators in the newly formed Bangladesh Premier League twenty20 competition and captained them to the tournament title. James Taylor was born at Massachusetts General Hospital in Boston on March 12, 1948, where his father, Isaac M. Taylor, was a resident physician. His father was from a well-off family of Southerners of Scottish ancestry. His mother, the former Gertrude Woodard, studied singing with Marie Sundelius at the New England Conservatory of Music and was an aspiring opera singer before the couples marriage in 1946. James was the second of five children, the others being Alex (1947–1993), Kate (born 1949), Livingston (born 1950), and Hugh (born 1952). In 1951, when Taylor was three, his family moved to what was then the countryside of Chapel Hill, North Carolina, when Isaac took a job as an assistant professor of medicine at the University of North Carolina School of Medicine. They built a house in the Morgan Creek area off of what is now Morgan Creek Road, which was sparsely populated. James would later say, "Chapel Hill, the Piedmont, the outlying hills, were tranquil, rural, beautiful, but quiet. Thinking of the red soil, the seasons, the way things smelled down there, I feel as though my experience of coming of age there was more a matter of landscape and climate than people." James attended public primary school in Chapel Hill. Isaacs career prospered, but he was frequently away from home, on military service at Bethesda Naval Hospital in Maryland or as part of Operation Deep Freeze in Antarctica during 1955–1956. Isaac Taylor later rose to become dean of the UNC School of Medicine from 1964 to 1971. The Taylors spent summers on Marthas Vineyard beginning in 1953. Taylors four siblings—Alex, Livingston, Hugh, and Kate—have also been musicians with recorded albums. Livingston is still an active musician; Kate was active in the 1970s but did not record another album until 2003; Hugh operates a bed-and-breakfast with his wife, The Outermost Inn in Aquinnah on Marthas Vineyard; and Alex died in 1993 on James birthday. Taylors children with Carly Simon—Ben and Sally—have also embarked on musical careers. Taylor owns a house in the Berkshire County town of Washington, Massachusetts. Mortaza was born in the district of Narail in south-west Bangladesh. Although he enjoyed playing sports such as football and badminton from a young age—sometimes going swimming in the nearby River Chitra instead of doing school work—Mortaza was more interested in cricket as a youth, especially batting. Despite this, his bowling is now his main attribute and his pace has gained him the nickname of the "Narail Express". Mortaza has been described as an open and animated character who enjoys motorcycling. He used to travel from a local bridge onto the tops of passing goods barges. He is very popular in his home town, leading to him being dubbed their "Prince of Hearts". At Govt. Victoria College, Narail, Mortaza met Sumona Haque Shumi, whom he married in 2006. He has a daughter now. His daughters name is Humaira Mortaza. Mortaza is one of the most successful pace bowlers to have emerged from Bangladesh. The pace and aggression Mortaza displayed as an under-19 player impressed Andy Roberts, the former West Indian fast bowler, who was acting as a temporary bowling coach for Bangladesh. Under Roberts recommendation, Mortaza was drafted into the Bangladesh A team. In February 2007, Bangladesh again toured Zimbabwe for a one day series, this time as a prelude to the 2007 World Cup. Bangladesh won the four match series 3–1, and Mortaza finished as Bangladeshs leading wicket-taker with 8 wickets at 16.50. When Bangladesh beat New Zealand in a warm-up match before the World Cup, Mortaza produced what was described as a "fine all-round display". He took four wickets and scored an unbeaten 30 off 16 balls to ensure victory by two wickets. He was also the man of the match in Bangladeshs victory over India during the group stage of the 2007 World Cup, taking 4/38; at the time they were the best figures by a Bangladesh bowler at a World Cup. Bangladesh progressed to the second round of the tournament, and Mortaza played in all nine of the teams matches, taking nine wickets at an average of 35.88. In early 2009, Ashrafuls position as captain came under scrutiny and the BCB considered possible replacements. Mortaza, wicket-keeper Mushfiqur Rahim, and all-rounder Shakib Al Hasan were identified as potential successors, but the board decided to let Ashraful remain as captain. Mortaza was also reconfirmed as vice-captain. Following Bangladeshs early exit from the 2009 ICC World Twenty20, as a result of their defeat by Ireland, Mohammad Ashfrafuls leadership was criticised, but stated that he wished to remain captain. In June 2009, the BCB relieved Ashraful of the captaincy so that he could focus on his batting and Mortaza was appointed captain for the tours of the West Indies and Zimbabwe. Shakib Al Hasan replaced Mortaza as vice-captain. 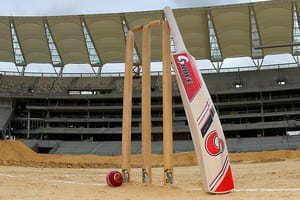 Pitches in Bangladesh are generally slow and suit spin bowling; the domestic circuit is dominated by spin bowlers and former Bangladesh coach Jamie Siddons has opined that the pitches discourages the emergence of fast bowlers. Despite this in April 2008 he became the second Bangladesh bowler to take 100 wickets in ODIs and the first fast bowler from the team to pass the landmark. For a long time Mortaza was acclaimed as the fastest bowler that Bangladesh had produced, however Shahadat Hossain is now considered quicker. Mortaza uses his aggressive bowling to challenge batsmen. Although a naturally aggressive player, his accurate bowling has led to comparisons with Australian fast-bowler Glenn McGrath. He has been described by commentators as having "a strong sturdy physic ... sheer pace and stamina with an aggressive frame of mind". After his knee injury, Mortaza was forced to alter his bowling action slightly, and lost some pace. He has tried to develop his use of reverse swing in an attempt to become a more effective bowler. Jamie Siddons, the Bangladesh coach, has stated that he believes Mortaza does not get the bowling figures he deserves because "opposing teams tend to see him off and then attack the others". Mortaza has also commented that "it always puts pressure on the bowlers when their side is bowled out cheaply in the first innings", something that the Bangladesh batting line-up has sometimes struggled with.